Ruby Proulx has never known the comfort of a loving family, a secure home, or the hope for a stable future. Her entire existence has been in the shadow of her con-man father who preyed on the ill by selling them his elixirs. He was known for investing what little they earned on liqueur or a get-rich-scheme as a medicine man in many traveling shows in Canada. What little she earns, through tarot card readings, she hides away fearing that her father will spend it and they will starve. Against her better judgement, Ruby assists her father in testing a device called the Invigorator. This leads to the death of the man who has the device strapped on. Knowing they will be imprisoned, they run before they are apprehended by the authorities. Ruby crosses the Canadian border into Maine in search of her aunt. As she steps onto the train platform, someone attempts to rob her. She tries to protect herself, but falls. Arriving on the scene, is Officer Warren Yancey who questions the crowd and then brings her to the new police station. She awakens, remembering what happened, but avoids giving a good description of her attacker. She is more concerned with being reunited with her aunt. The officer escorts Ruby to her aunt’s home, which is Hotel Belden. The hotel has quite the reputation for spiritualists ready and willing to connect clients with their departed loved ones. Her aunt is stunned to see her, but knew she’d eventually make her way to her home. She also is very curious to know what her metaphysical gift is. There’s a reason for her interest. They need to save the season to save the hotel. That becomes a problem when the expected medium cancels. So Ruby does what she believes to be the right thing: she attempts to fill the role of a medium during seances. 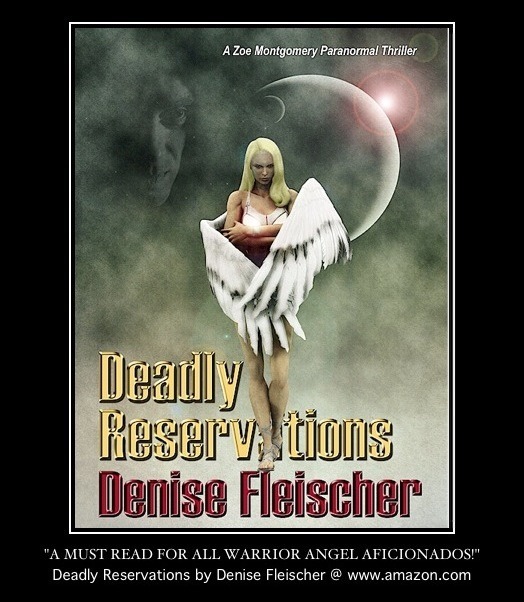 Her skills for reading body language and hearing a spirit advisor’s voice will guide her. Whispers Beyond the Veil provides a behind-the-scenes view of spiritualists. Like Houdini, there are those in town determined to prove that Aunt Honoria is nothing less than a criminal preying on the emotions of the survivors. The book touches upon the types of gifted individuals who worked in these centers and their wealthy clients and the opportunities to both lead and mislead them. I think the book could have gone a little deeper in investigating the practitioners to unmask fraud or actual gifts. It did wrap you up in the mystery and the plot did get more involved when a murderer strikes. It clearly leads one to believe that there’s another reason for wanting the hotel to close. The setting in both the traveling show and the hotel definitely gave you that eerie feeling as you turned the pages. I could picture the dark seance room, the thick drapes and see the tarot cards selected on the table. Did you know that there actually is a community in New York, called Lily Dale, that continues to bring together physics and believers? Check it out and this book. Guest Blog Post: Don’t you just love serendipity? Several years ago my husband and I were looking for a summer place near the water. I had no idea that our search would lead to a new series and a love of historical mystery writing. After looking at places all over the state of Maine we found the perfect spot in Old Orchard Beach. We spent that first summer renovating the house and basking on the beach. By the end of the first month we were utterly charmed. After all, what’s not to love about seven miles of sandy beach and the last remaining seaside amusement park in New England? But while the kids were building sand castles and perfecting their body surfing technique, I found myself visiting the Harmon Historical Museum and buying antique post cards at Cottage Decor. Slowly, but surely, the history of Old Orchard worked its way into my affections and on my imagination. I was intrigued to discover our property used to be part of a Methodist campground. While it now has different owners, the natural amphitheater they used for sermons and speakers is still in operation just up the street from our house. I learned about the different incarnations the town had experienced. In the Victorian era it hosted wealthy families for the entire season at the grand hotels like The Hotel Velvet as well as day-tripping mill girls from neighboring Biddeford. By the early 1900s, Grand Beach was popular with early auto racers as well as pioneering pilots attempting the first trans-continental flights. A few years later the big band era and dance marathons drew the crowds. Soldiers returning from WWII brought their families in droves throughout the middle of the twentieth century. It was inevitable, I suppose, that all that information would work its magic on the story-telling part of my brain. Before I knew it, I started imagining the buildings and vehicles and amusements from the past still lining the streets. Then, of course, the buildings filled with imaginary people with all their intrigues and peculiarities. Before long, the influence of Old Orchard had concocted Ruby Proulx, the protagonist for my latest book, Whispers Beyond the Veil. The Gilded Age hotel where she lives and works, her friends and family all invented themselves as I walked along the sand or imagined a trolley car trundling down the street beside me as I strolled to the shops. Reasons for murder and mayhem swooped into my brain like marauding seagulls making a play for picnic lunches. Just like that, an historical mystery had snuck up on me. I had never intended to turn my hand to historical writing, but thanks to a little serendipity it had.